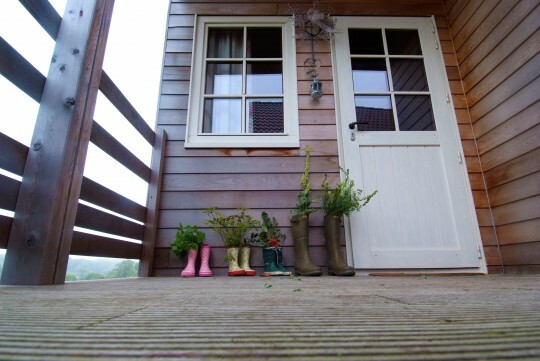 Le Domaine du Val tourist residence welcomes you to ecologically designed wooden homes for your stay on the coast of Picardy in the Bay of Somme area. Located in the Bay of Somme area, the wooden homes of Le Domaine du Val residence welcome you throughout the year for your vacations. You can benefit from special offers for stays that are booked at least 12 weeks ahead of time, for families and groups (with a rental of four wooden houses minimum), for seniors (mid-week and week-long stays), for couples (mid-week and week-long stays) and also for parents with a child under four years old. Each wooden home is ecologically designed, and Le Domaine du Val features and environmentally friendly approach. If responsible tourism is your goal, you can enjoy a totally natural vacation in the Bay of Somme area. You’ll find a vegetable garden providing produce that is distributed twice weekly to residents, a country landscape overlooking the Abbeville gulf, and, of course, an immense protected area joining sky, sea and land. The Bay of Somme nature reserve is recognized for its wealth of plants and animals. Created in 1994 following classification as a hunting reserve, it is now a spot for welcoming migrating birds and local seals (gray seals and seal calves). At low tide, the bay is uncovered up to 14 kilometers from Saint Valery. The tide comes in rapidly in five hours and sometimes creates pools, currents, shallows and quicksand. For this reason, you should ask for information before venturing on foot into the bay. You will discover a landscape of mussel beds and mud flats. The bay covers no less than 3,000 hectares, including 120 hectares corresponding to the Marquenterre ornithological park.